In the latest instance in which a drugmaker was caught making bribes overseas, Eli Lilly was charged by the US Securities and Exchange Commission with violating the Foreign Corrupt Practices Act because its subsidiaries made improper payments to foreign government officials to win millions of dollars of business in China as well as Russia, Brazil, and Poland. 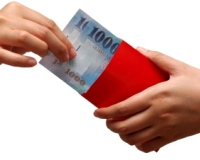 The FCPA forbids US companies from bribing foreign government officials. However, in China, employees at the Lilly falsified expense reports in order to provide spa treatments, jewelry, and other improper gifts and cash payments to government-employed physicians. A Lilly subsidiary in Russia used offshore “marketing agreements” to pay more than $7 millions to third parties chosen by government customers or distributors, despite knowing little or nothing about the third parties beyond their offshore address and bank account information, according to an SEC statement. The SEC alleges Lilly became aware of possible FCPA violations, but did not curtail the use of marketing agreements for more than five years. Lilly subsidiaries in Brazil, China, and Poland also made improper payments to government officials or third-party entities associated with government officials. Lilly agreed to pay more than $29 million to settle the SEC’s charges.